In another one of those fun convergences that makes me smile, several people I know, and who know each other, all did different versions of the same thing at the same time, thousands of miles apart, without talking about it first. 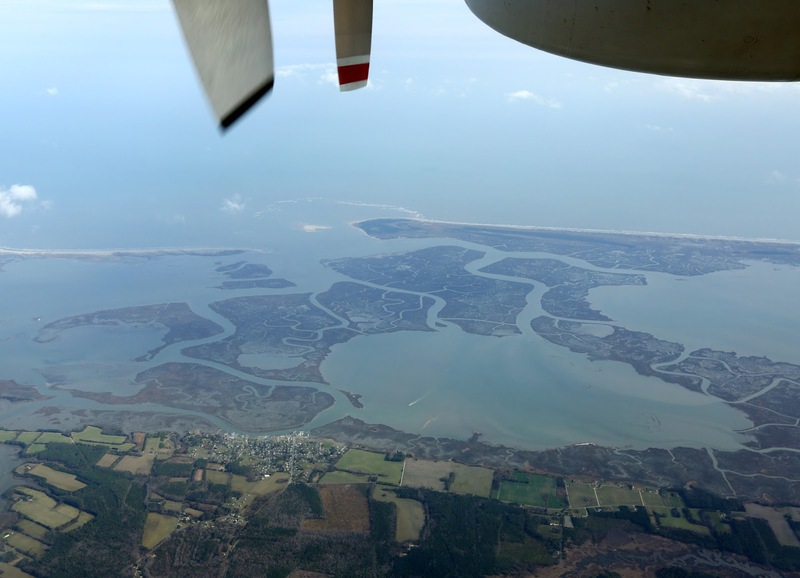 Steve took a trip for work on a plane out of Wallops Island, flying over remote parts of the Eastern and Western Shores of the Chesapeake. Meanwhile, Emily was also flying in an even smaller plane, also for work, on a volunteer gig to the remote Alaska backcountry. To a little native village called New Stuyahok (pop. 510). They had stronger than expected headwinds on the way out. The pilot was afraid they wouldn’t have enough fuel to get back. He radioed around to people he knew and found a runway out in the middle of nowhere to put down and gas up. Check out the video. There’s nothing around for hundreds of miles. When the plane lands – on a strip built with significant effort above the permafrost – there’s still nothing there. Video from Emily in the copilot’s seat. At the same time, other daughter Amanda was taking a flight of fancy a few thousand miles due south in California. She’s teaching third grade with a class of delightful mostly Spanish speaking kids in “The Garlic Capital Of The World” – otherwise known as Gilroy. She was reading a favorite book to the kids, one I had read to her and Emily when they were young called Stella Luna, about a young bat who flies around in the moonlight. Amanda really gets into character when she reads, and has the rapt attention of all 30 some odd 9 year olds, which is no small feat. She dressed for the part, finding (somewhere) a flying squirrel costume that passed for a young bat.